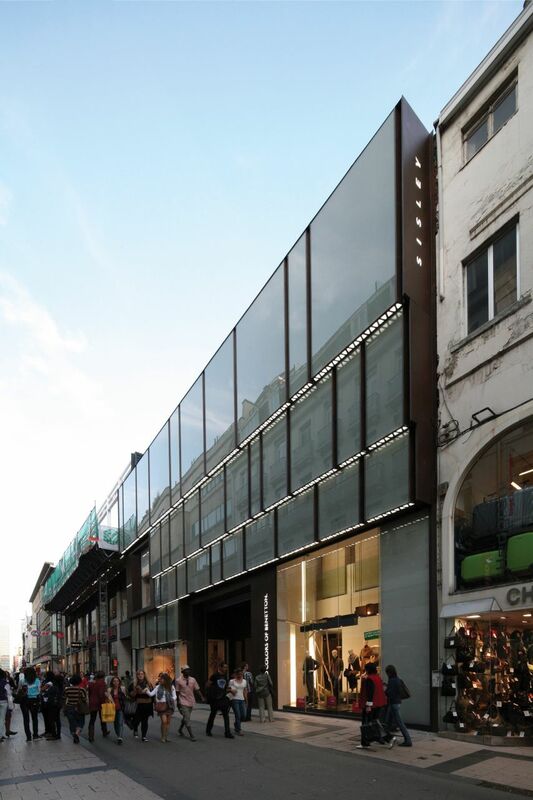 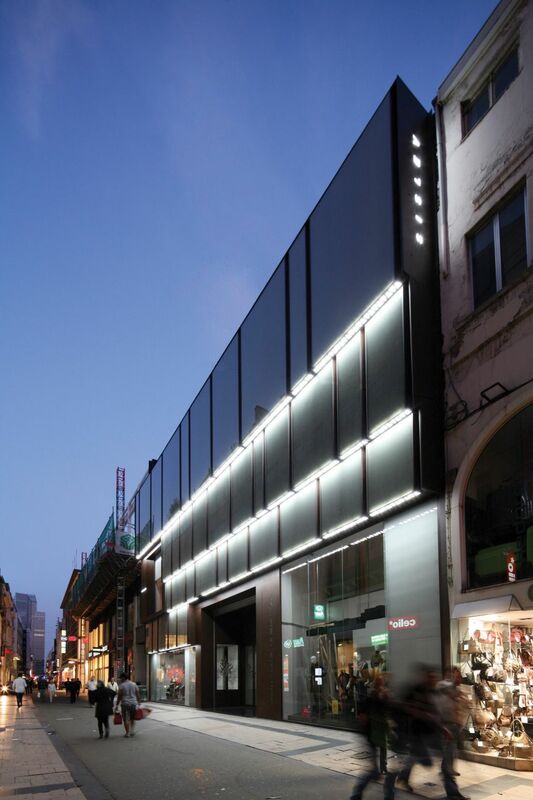 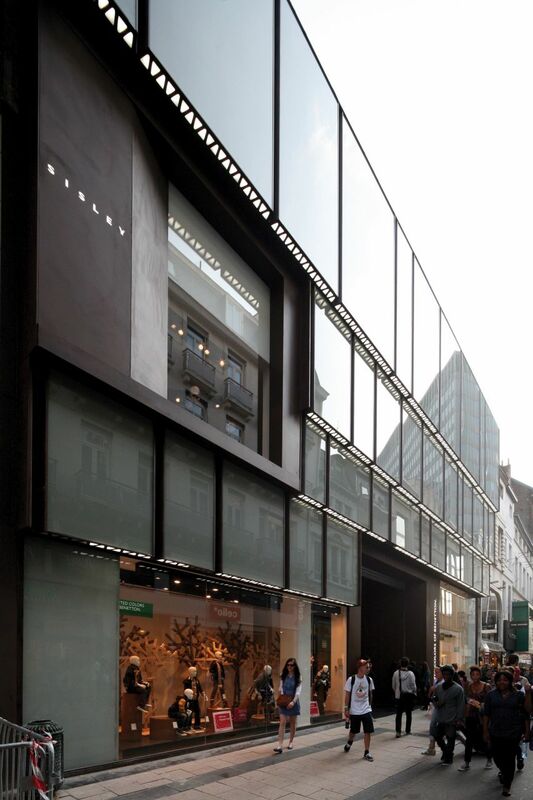 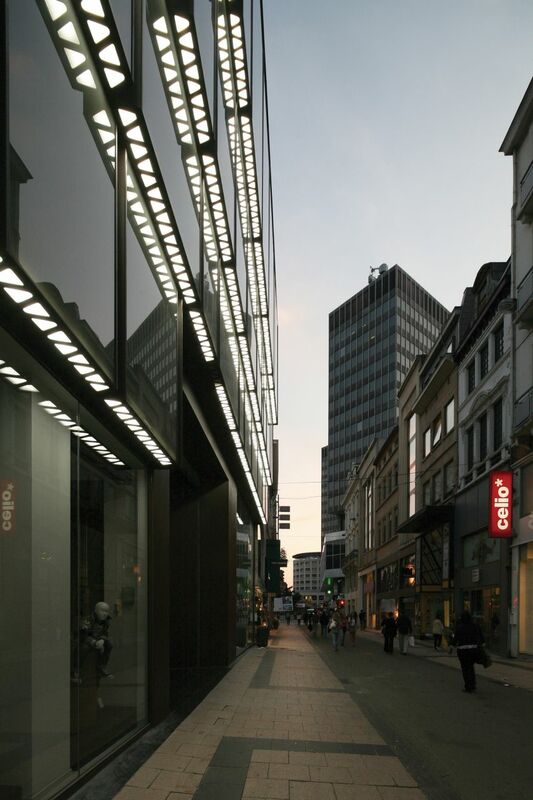 The design for the facade in Rue Neuve, is the combination of two different interpretations. 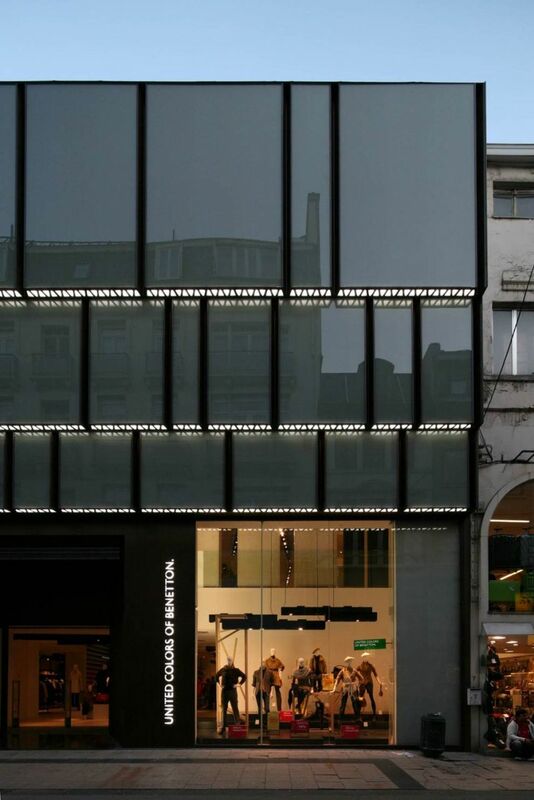 The first regards its physical location, its concrete surroundings; the second comes from a more general perception of the image of the company in different countries. 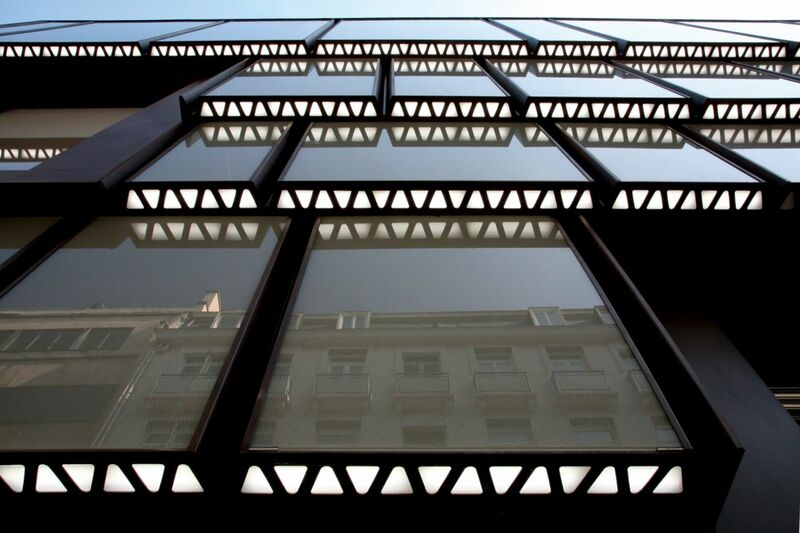 The project include a small number of clear formal themes, which are then assigned a concrete dimensions and position according to the specific conditions, appearing as precise architectural solutions that can be “generalised” in situations that differ in place, scale and concrete ties.